The Western Organization of Resource Councils has been an unrelenting grassroots critic of Big Ag for decades. Now its members want to enlist urban eaters in the fight. The residents of Devils Lake, North Dakota have seen huge changes in recent years. The lake the town is named for has quadrupled in size over the last two-and-a-half decades, flooding thousands of acres of farmland. As a result, many of the farmers in the area have had to trade in their tractors to run campsites and other tourism businesses along the expanding waterfront. So when a farming family in a neighboring township applied for a permit for a concentrated animal feeding operation (CAFO) last year, many Devils Lake residents were up in arms. The proposed farm is a hog “multiplier” that would supply up to 44,000 piglets a year to other large hog farrowing operations. It would also require keeping around 2,000 sows on hand at all times. The operation would be surrounded by water on multiple sides—a fact that concerns people like Jim and Diane Yri, a pair of farmers-turned-resort-owners who live nearby. The Yris have many of the same concerns that residents around the country tend to voice when they hear a CAFO is moving into town: They don’t want to be exposed to the intense ongoing smell. And they’re pretty sure the tourists won’t like it either. They don’t want to see the roads degraded by the constant influx of feed trucks—at taxpayers’ expense. But mainly they’re worried that the massive quantities of animal waste, which will get sprayed nearly constantly on a series of nearby farm fields, will eventually make its way into the lake. “The site is surrounded by wetlands that will drain any waste into Devils Lake,” said Jim Yri. But the unpredictability of the lake itself, which floods often, is a more direct concern. “What we provide here in North Dakota is clean air, flat and open spaces. We have the best fishery here, why would we even consider putting something here that could ruin that?” asked Diane Yri. 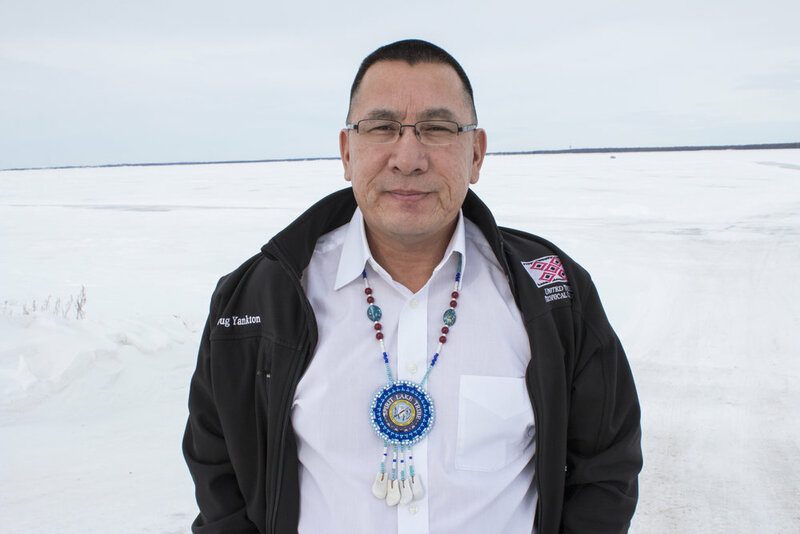 The nearby Spirit Lake Nation—a Native American tribe with over 5,500 residents who see the pristine lake waters as an important spiritual site—also opposes the operation. The tribe’s members and Devils Lake residents are all waiting on the state’s Health Department to decide whether to grant the CAFO a permit, and they plan to fight it if it does. Because despite the many things Devils Lake has in common with other communities that have fought CAFOs and lost, there are a few elements that set this case apart—and give the residents of Devils Lake reason to hope. For one thing, North Dakota is years behind most other states when it comes to CAFOs. For eight decades, the state maintained robust anti-corporate farming laws that kept large facilities out until lawmakers gave in to the industry by passing a series of exemptions to those laws in 2015. The struggle in Devils Lake has also caught the attention of the Dakota Resource Council, and the larger regional network to which it belongs—the Western Organization of Resource Councils (WORC). The group is made up of 15,000 farmers, ranchers, and concerned citizens in 39 local chapters spread throughout the rural parts of Oregon, Idaho, Colorado, North and South Dakota, Montana, and Wyoming. WORC is standing at the ready to campaign on behalf of Devils Lake residents. It’s also helping to get their story out to a wider audience through Homegrown Stories, its new multimedia website. If you’ve never heard of resource councils, you’re probably not alone. WORC started out fighting coal mines in the 1970s and have expanded to take on a number of energy, mining, and agriculture issues. And, when it comes to agriculture, they’ve often been the loudest critics of corporate farming in areas where very few other such voices exist. With Homegrown Stories, the group also hopes to point to the remaining family farmers and ranchers who are still working against intense market pressures to create an alternative to large corporate farms. The site launched with an initial nine stories in January and plans to roll out a total of 40 by the end of this year. In the 30 years Dobbs has been a member of her local resource council and WORC, she has been involved in campaigns focused on the misuse of federal checkoff dollars in the beef industry, the effort to reform the GIPSA rules to bring back competition on the livestock market, and the push to get country-of-origin labeling (COOL) back on meat. “There have been times that I’ve felt like Don Quixote must have felt riding into the windmill. We would take two steps forward and get knocked back four steps,” she says. Those packers and processors that survive face razor-thin profit margins, often-uncertain supply and unpredictable consumer demand, and must comply with complex, expensive federal regulation. Independent producers who count on local processors to cut their beef also face a host of challenges from retail marketing to hauling and scheduling with processors. Part of the solution, the group decided, was supporting the local food economies in the communities where their resource councils are located. Dobbs’ Idaho chapter, for instance, has been working to support farmers’ markets and pass a cottage foods law and an urban agriculture ordinance to boost the number of small farms closer to population centers. But supporting the little guys isn’t just a feel-good aspect of this work, says Dobbs. The hope is to address the stark fact that for farmers and ranchers like herself, selling the farm is no longer optional. It’s a fact that poses a huge challenge when it comes to keeping CAFOs out of communities. “Agriculture has gotten to the point where it’s not really feasible to pass on the farm or the ranch to a family member and still be able to sustain any sort of retirement income or yourself,” says Dobbs. Large dairy businesses such as Davisco Foods, Glanbia, Kraft, and Dairygold moved in to the area. And some operations shifted from California to escape environmental regulation. More recently, in 2012, Chobani opened a large plant in the valley. By 2014, Magic Valley was home to 400,000 of the state’s 550,000 cows. And as of 2017, Idaho produces 14.6 billion pounds of milk year. In Revillo, South Dakota, Kristi Mogen and the local resource council she works with faced a situation that was similar to the one currently unfolding in Devils Lake. In 2013, a sow-management company called Pipestone Systems announced they planned to build a CAFO in the county. By the time the residents learned about it, they had only 10 days to respond. But Dakota Rural Action jumped in with both feet. The group wrote a referendum, wrote letters to county lawmakers, and held a hearing. Eventually the permit was denied, but the company appealed the decision and the outcome is still up in the air. That sums up the goal of the resource councils in a nutshell. And it explains why Mogen joined the local chapter first thing when her family moved from Wyoming to South Dakota a few years back to escape the pollution from a nearby oil field. 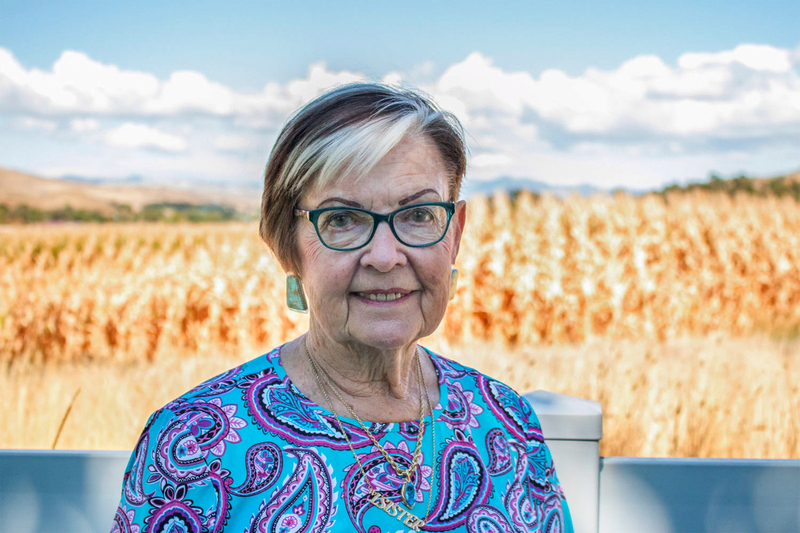 She had been on the board of the resource council in Wyoming’s Powder River Basin and Mogen knew it was important to stay connected. “When you’re part of the group, you can call somebody up and you realize you’re not alone,” she said. This kind of mobilization is crucial to rural areas, says Mabel Dobbs, who wants to see the WORC groups grow their numbers tenfold, based on the numbers of people whose lives are touched by these issues. But even the most robust rural organizing can only go so far without more attention from the rest of us. “If we tell these stories well enough, we can get the urban folks to care,” she says. The hope is to begin drawing the connections between the ways that Big Agriculture impacts them as consumers—through factors like antibiotics and food safety—to the people who are suffering as a result of what corporate food and corporate agriculture has done to their way of life. “That’s where our strength will come from,” says Dobbs. This story is part of our year-long series about the underreported agriculture stories in our rural communities. Enough polluting the land and water for other prophets.